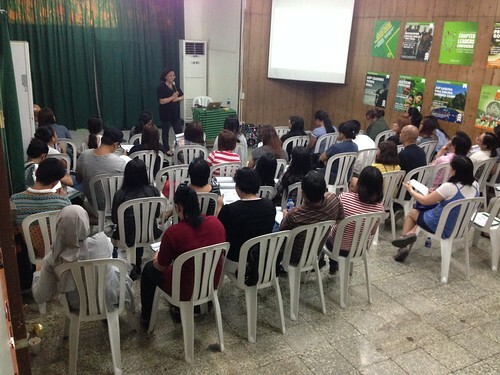 The Autism Society Philippines welcomed 36 parents and therapists to its monthly seminar entitled “All You Need to Know About Autism,” moderated by Dr. Ermelinda “Mimi” Avendano, a respected developmental and behavioral pediatrician, at the ASP National Headquarters last 3 June 2017. Doc Mimi walked us through a lay definitions of typical developmental conditions, what autism is and what it is not; and she helped the participants understand the difference classifications of autism based on the DSM-5 definition. She gamely answered questions typically asked by parents whose children are newly-diagnosed, such as the debate about vaccination. She shared recent scientific research, focusing on environment and genetics as potential causes of autism. Discussion of sleep and diet further enriched the exchange.